Article 2 – No Discrimination, in English, Article 22 – Right to Social Security, and Article 1 of the German Constitution, which celebrates its 70th anniversary this year. The performance will be in Duisburg, Germany, conducted by the composer Axel Chr. Schullz. 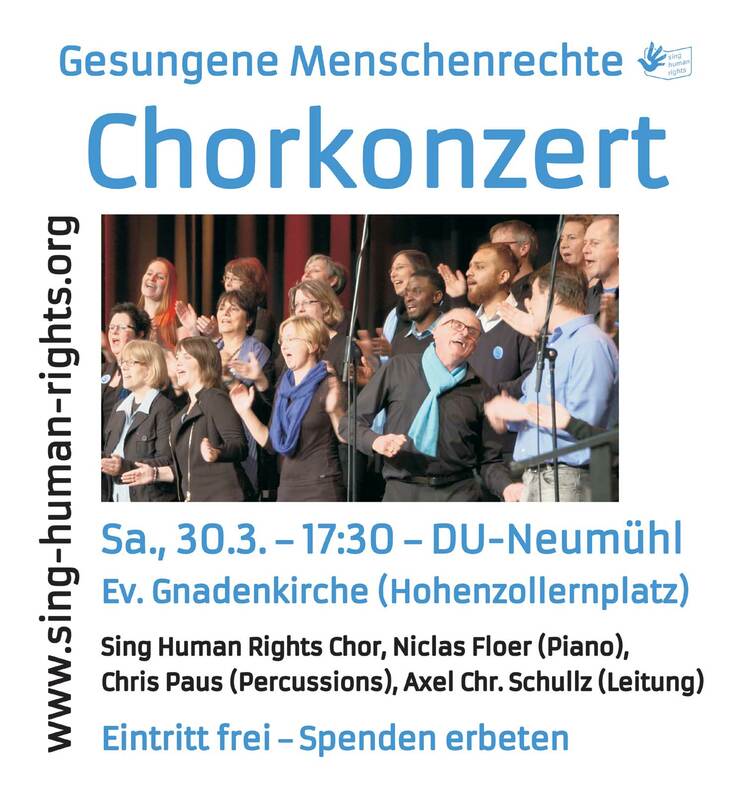 The Sing Human Rights Choir will be accompanied by Niclas Floer (piano) and Chris Paus (Percussions).